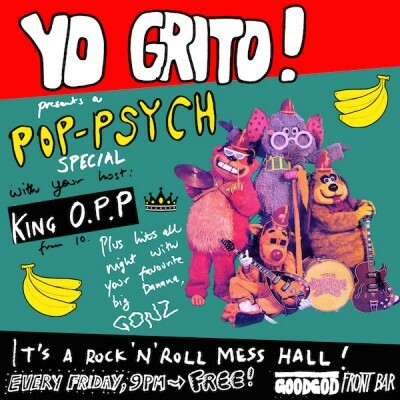 This week YO GRITO presents an extra special delight, a psychedelic pop special! Featuring all the best ‘real’ and ‘cartoon’ groups to produce other-wordly pop gems without ever dragging you down into boorish barefoot territory. Step aside longhairs, it’s gonna be a HIT! Free from 9!